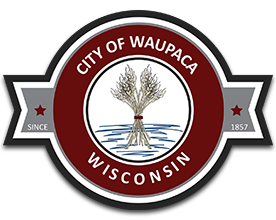 The Waupaca Code of Ordinances requires property owners in the City to keep up their lots by controlling and cutting noxious weeds and high, uncut grass. Noxious weeds in our area typically are Canadian Thissel, Leafy Spurge and Field Bindweed (Creeping Jenny). All grass over 12” in length must be cut. The City Public Works and Building Departments are charged with enforcing this ordinance. The process they use consists of placing a red door hanger on your house or business entrance, or if the property appears vacant, a letter will be sent to the owner of record. This hangar is a WARNING only and tells you that the city is monitoring your property. We typically give the owner 7-10 days to correct the situation. If the property owner does not take care of it, then the City will cut the grass ourselves or will hire a private contractor to do the work. The owner will be billed based on our costs, plus an additional administrative charge. If the bill is not paid in a timely manner the charge will be placed on the tax bill as a lien against the property. Further cuttings and billing will proceed to enforce the ordinance throughout the summer. Please do your part in helping us keep our City looking great.